Hi, I’m Jessica, and I am a blogging noob. I only joined Rabid Reads in February (yes, of this year), but I like to think I’m taking to it fairly well—I love it anyway. 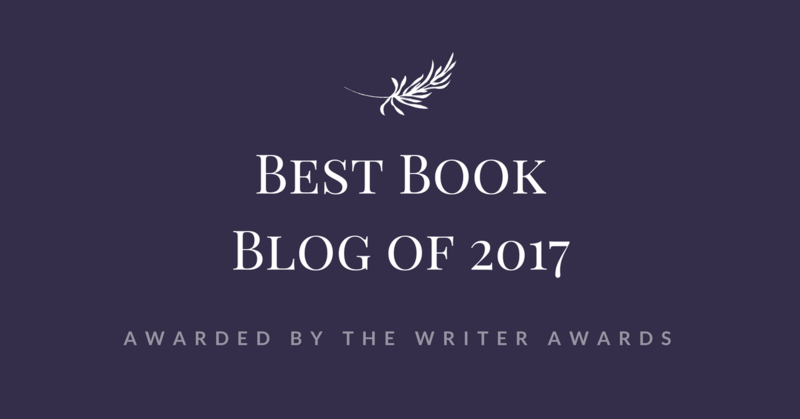 *winks* I got into blogging b/c books—I love ’em. I love reading them, I love thinking about them, I love talking about them with other people, and blogging is an excellent medium for all of that. I am blogging from the deep South—Chattanooga, TN. Urban Fantasy. I use reading primarily as an escape, and I was raised on fairy tales. I like to read regular, contemporary books too, but the further from reality you can get, the better IMO, and vampires, werewolves, fae, etc. accomplish that much better than books without paranormal elements. Last year either Scarlet by Marissa Meyer, or Crown of Midnight by Sarah J. Mass. This year is definitely Red Rising by Pierce Brown. Daughter of Smoke and Bone by Laini Taylor, b/c how awesome would that be? Can you even begin to imagine what Brimstone or Akiva would look like on the big screen? This needs to happen. 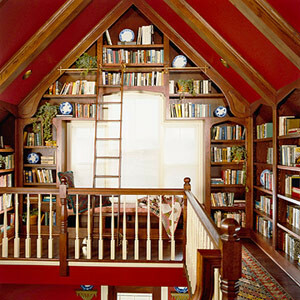 I love your reading nooks Jessica, especially the first (red) one. What a great way to use a loft space. Can you even imagine? If I had either of them, I would never leave, LOL. OMG Red Rising was so amazing. And yes, Brimstone on the big screen would be amazing! Or any of the chimaera! Oh . . . Thiago. What would Thiago look like on the big screen? And man, come to think of it, Red Rising would make an awesome movie too. Oh, I love that first reading nook!!! I want one just like that. Me too. Seriously, all it needs is a mini-fridge, and I’d NEVER leave. I love this and what a really fun idea. Jessica I had no idea you hadn’t been blogging that long, it doesn’t show at all (and I mean that in the nicest way possible I promise!). I’m totally drooling over that reading space. Looks perfect. I would be good for nothing. I would sit, in either of them, with a book, and a cat, and a coffee pot, and never leave. Me too. If I had one, no one would ever wonder where I had disappeared to ever again. They would know, LOL. I love reading fantasy for the same reason! Fantasy and historical fiction, both, because neither is going to be something I will experience, while contemporary fiction, though I still enjoy it, is totally something that could happen to me. I love being transported to another time/place or into a world filled with the paranormal! I am glad to hear you’re having a blast at blogging. It’s fun. NICE TO MEET YOU Jessica. you have fun now. LOL. Rashika, darling, you make me laugh . . . out loud even. And I’m counting on a picture of that hat! (I’ll write back soon, swearsies 😉 ). I did. In fact, he was just standing over my shoulder, and if it wasn’t for some ninja-like distraction techniques, you would have totally outed me and my Clay Danvers love, LOL. The great thing about book blogging is literally that all it takes to be able to do it and do it amazingly is loving books. And no one who starts a book blog has a problem with loving books, so I’d say you’re doing more than fairly well! 😉 Similarly to Becca, I love fantasy for the exact same reasons you love Urban Fantasy! Both of the reading nooks look absolutely stunning! I forget that you are even newer than me. I started towards the end of last year. I love reading your posts. We have very similar tastes in books. Scarlet is my fave (which you already know from visiting my blog). I’m a sucker for Wolf because he’s so endearing. I love the idea of a hidden room as a reading space. It would be so cool. They are actually making Daughter of Smoke and Bone into a movie. Laini actually even has a bit of voice if I remember correctly. It should be amazing. I can’t believe you’ve only been blogging since February! 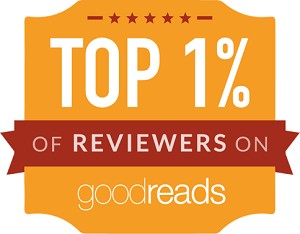 Your reviews are SO amazing! Are they really?? You know, I think I remember hearing something like that a LONG time ago, but when I never heard anything else, I figured it was just wishful thinking. And thank you so much! Maybe my noobness isn’t showing quite as much 😉 You totally should . AND you should post pictures when you do! Yay for Red Rising. One of my favorite books so far this year, too. I love the reading nooks. I need one like that. Red Rising was one of my favorite books too. I’m almost eager for January so I can read the next book. Urban fantasy is a genre I don’t read enough of anymore… peeked through your reviews and have to say I agree with every single thing you said about A Kiss of Shadows! Thanks, Leeanna! I am definitely eager for January and Golden Son. And I’m always happy to find another supporter of LKH. She’s going to be at Dragon Con in a few months—so excited!! 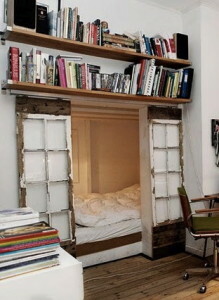 Seriously, I would never leave my house if I had one of those nooks. I would order groceries to be delivered from Publix like a grandma, LOL. And UF/PNR is the BEST. I can’t remember why, but I tried to do a cartwheel for the first time since I was a teenager a few years ago, and I suwanee . . . there are muscles in your inner-thigh that you don’t know about until you try to turn a cartwheel when you’re 30. *snorts* And YES. I want one of those nooks. Oh, oh! Someone said they ARE planning on making a movie out of DoSB!! I KNOW!! You probably already looked it up on IMDB (like I did), so you know there’s not much info, but it’s in development!! Yay! US version of HoF on NetGalley!!!!! Haha! Jessica, I couldn’t agree more – “the further from reality, the better”! 😀 I’m the same way. Love both “reading spaces”. Great post. Thank you! And exactly . . . even if I do read the occasional contemporary romance, my favorites are always the one with rock stars, LOL. And thank pinterest for dreams, right? Welcome to book blogging! It’s a wild and crazy little world but so much fun. Honestly I’m not really sure if I’ve read anything that would be considered Urban Fantasy but I love your reasons for why you read what you do! Hope you have a great Armchair BEA! Welcome to the blogging community!! Its always great to meet new bloggers! Love your choice for reading space, they are so awesome! Thank you! And yes, it is—it’s one of my favorite parts about this whole deal 😉 And congrats on Lola. I love her, and I’m sure she’ll be awesome. Daughter of Smoke and Bone movie? Hell yes!!! Crown of Midnight by Sarah J. Mass was one of my favorite reads last year and my favorite books this year (so far) is also Red Rising. I’m dying to get next book. DYING!! You and me BOTH. I see more BRs in our future 😉 And, and! !—a DoSB movie is in the works! I looked it up on IMDB after one of these lovely peeps tipped me off. I’m glad you joined the blogging world, Jessica! 🙂 I’m enjoying discussing books with you. Oh, I’ve gotta read Red Rising – I got it for my birthday. Did you see that it’s coming? It’s listed as being in development on IMDB!! I love the Lunar Chronicles too! 🙂 Great to meet you! I don’t know why I haven’t before, but you’re right. That would be fantastic! Yes, but who would play WOLF? I love love the reading nooks you posted. I would love to have like a bed/couch behind my bookcases. If only…. Crown of Midnight was so amazing! I am definitely going to have to try Red Rising. Great reading places, they look perfect! Lovely post Jessica, and you are doing absolutely great here!